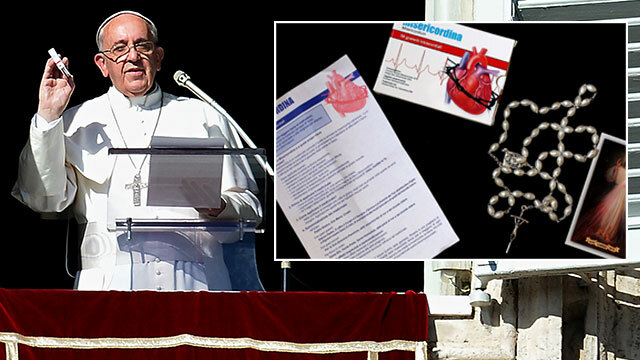 intro: It was another classic "Pope Francis moment" in St. Peter's Square this weekend, as the new pontiff joked with the crowd gathered out his window that he was a pharmacist who was prescribing prayer while aides handed out rosary beads packaged to look like medicine. The warmth of Francis seems to have had a ripple-effect throughout the church, as attendance at mass and confession has increased anywhere from 12 percent to 20 percent in countries around the world, according to a survey by England's Sunday Times newspaper. The paper surveyed 22 Catholic cathedrals in England and Wales and found a 21 percent increase in attendance at Mass. They also cited surveys in Italy that showed 51 percent of priests reported a rise in attendance and Spain, where there was a 12 to 13 percent increase. Check out more photos of Pope Francis. Take a look at some of the hallmark moments of Pope Francis' first months in office that have helped spark a new wave of popularity for him and the Catholic Church. quicklist:1 title: text: During a mass in St. Peter's Square on Oct. 26, Pope Francis was joined by a young audience member who climbed onto the altar and stood next to Francis. While others tried to lure the little boy back to the audience, Francis patted him on the head and propped the boy up on his own chair before continuing on with his homily. quicklist:2 title: text: The bubble-like popemobile and limousines that were used to drive Pope Benedict and Pope John Paul II around the Vatican were shunned by Pope Francis in favor of this small used Renault car. The 30-year-old car, which had some 186,000 miles on it, was a gift from an Italian parish priest, Rev. Renzo Zocca, who had used the car to help people in poor neighborhoods. Zocca gave the car to Francis shortly after he became pope, and the pontiff began driving himself around the Vatican in it almost immediately. quicklist:3 title: text: The pope's sense of humor has been a hallmark of his outreach to those inside and outside of the church. quicklist:5 title: text: While Pope Francis's humble actions have earned him acclaim, his statements on church doctrine have caused ripples throughout the church. Here, a photo of Francis was snapped during an interview with journalists aboard the papal plane after a trip to Brazil, in which he made surprising remarks about gay people, women in the church, and divorcees. quicklist:6 title: text: On Sunday, Nov. 17, the pope appeared at his studio window in St. Peter's Square holding up a box designed to look like medicine but containing rosary beads, according to AFP. Volunteers handed out thousands of the boxes to visitors in the square. "I now want to suggest a medicine," he said, according to the report. "'What?' you ask, 'the Pope is now a pharmacist?'"